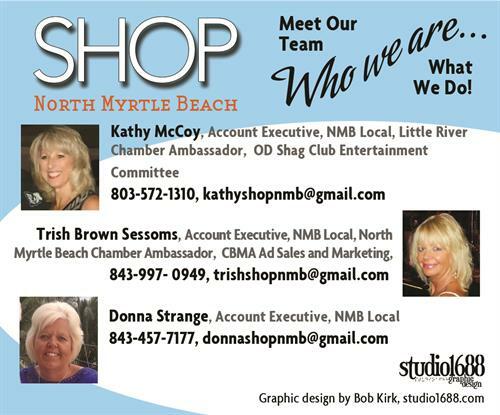 Edge Media is a local North Myrtle Beach publisher of advertising/ business marketing publications. 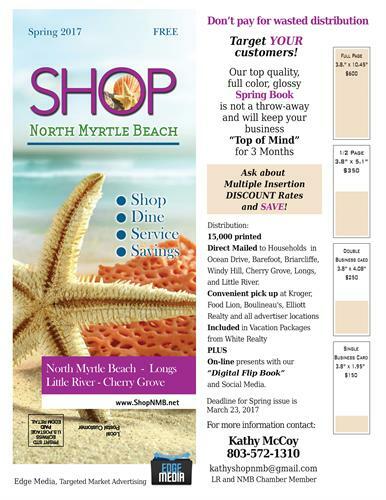 Shop North Myrtle Beach; Life at the Beach, and periotic targeted themed publications such as Service and Business Directories are part of our approach to targeted Marketing. All are free to the public and are both direct mailed and in many local businesses. Contact us to discuss any advertising needs.